November has come and gone, and I can't quite believe it. I've been MIA for quite some time, and while I wish I could spill all the details of what has happened over the past few months, that would be one heck of a long post. So I thought I'd show you a glimpse into my life, here's my November in a nutshell. My month began slightly miserably, in the final days of the HSC. Whilst almost all my friends had finished their exams, I had yet to sit my Visual Arts exam, which was on the final day. Lucky me! So naturally, there was a whole lot of studying, stress and maybe even a little bit of sobbing. Tensions run high after a long period of time, but I got through it! HOORAY! NOW TO LOUNGE AROUND, as I had been doing anyway, only now I didn't have to worry about feeling bad. Signing out of school was the most absurd experience, and I was forced to step out into the 'real' world. I now have to do this whole 'adulting' thing? Ew. 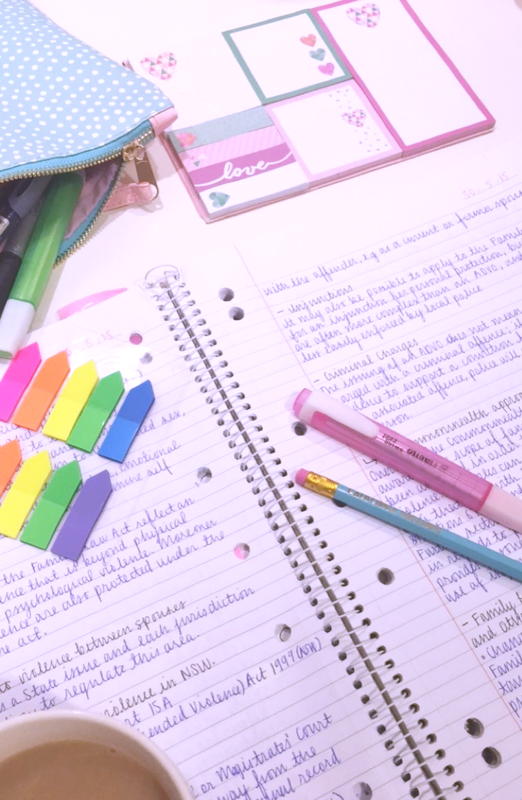 I had told myself for a long time that once I'd finished school I would devote my time to making up for all the reading, writing and blogging I hadn't been able to do while studying, but alas, it didn't happen. I did not finish a single book. On countless occasions I opened one up and read a chapter or two, but nothing stuck. I had a case of the slump. I spent the first half of the month playing the Sims 4, (it's addictive) or journaling. In such a strange and transformative time, my thoughts were all over the place, so journaling was an attempt to wrangle my emotions. I had to put them somewhere, and what better place than on paper. Later in the month, my slump had still not been cured, and there just so happened to be a sale at Dymocks. You can guess what happened next. I gone done bought a bunch of books with some of the money I’d saved from selling textbooks. Score. Here are just a few of the pretties I purchased. 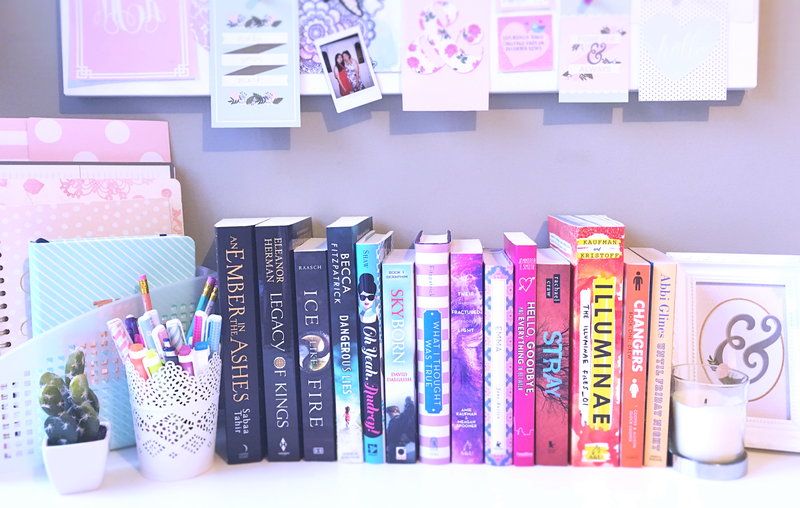 I'll be doing a full book haul/stacking the shelves post soon! A few days after the book shopping, and on my day off from babysitting my adorable 5 month old brother, I finally had the chance to see Mockingjay Part 2, and boy was it good. It exceeded all my expectations! It had my heart breaking and fluttering all at once. MY HEART. THERE WERE SO MANY FEELS. I treated my little sister to the movie, and even though she's not a huge Hunger Games fan, she absolutely LOVED it! She wouldn't shut up about it, which was a good thing. 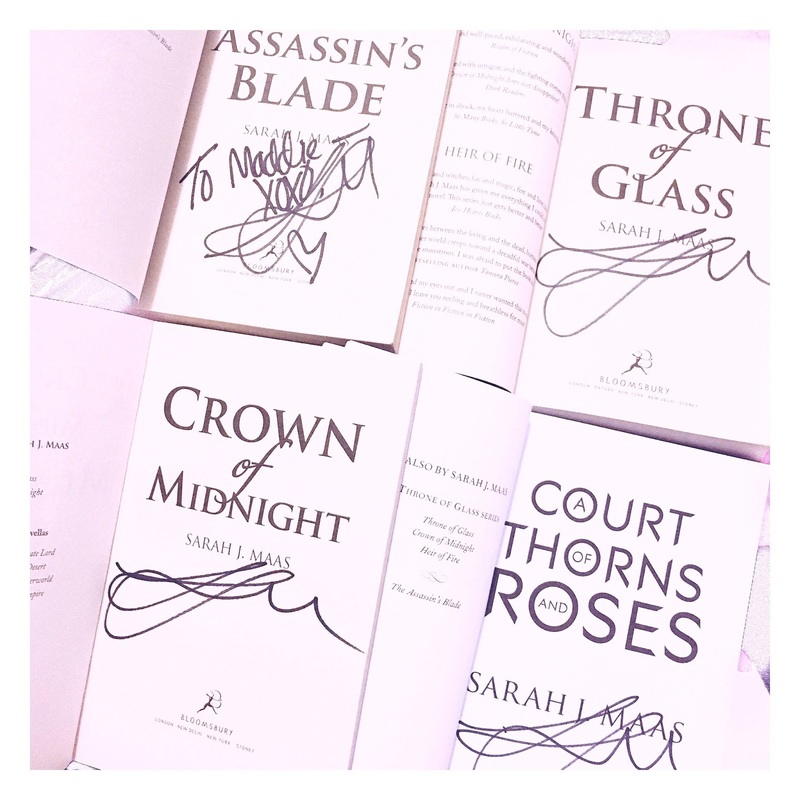 1) I MET SARAH J MAAS AND SHE WAS AS MAJESTIC AS YOU CAN IMAGINE. SHE WAS KIND, BEAUTIFUL, AND ABSOLUTELY HILARIOUS AND SHE SIGNED MY BOOKS AND I DIED A LITTLE BIT ON THE INSIDE. Her stories were hilarious and witty, and I think she may just be my spirit animal. As you can tell, I was pretty freaking ecstatic. If you know me, you'll know that I am a MEGA FAN of Sarah's books. The Throne of Glass Series is my absolute favourite, and has a special place in my heart. Meeting her has been a dream of mine for a few years now. I can't believe I had the opportunity to meet her, and she even said she recognised me from twitter (I may or may not have died when she said it.) 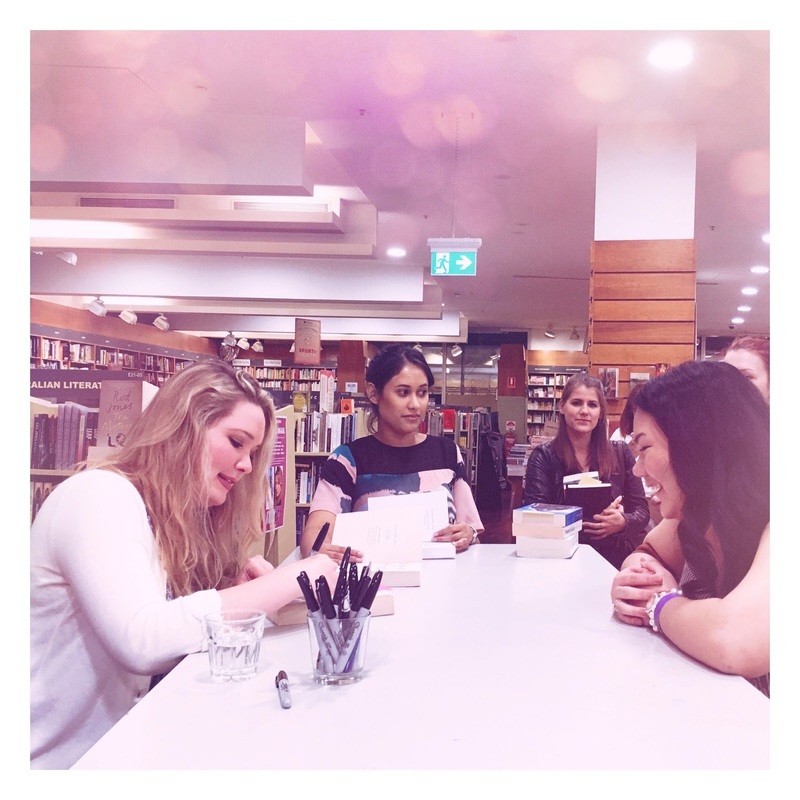 Here's a photo of me being awkward while she signs my books, while she makes jokes about the absurd Sydney weather and even swears, whilst still looking like a goddess. 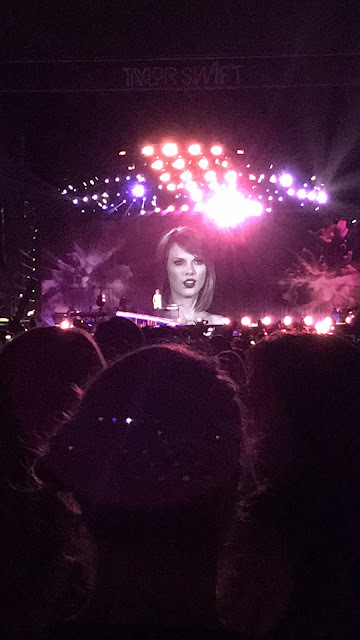 2) I saw Taylor Swift on her 1989 Tour Stop here in Sydney and SHE WAS JUST AS MAJESTIC AS SARAH AND I DANCED AND SANG AND HAD A BLOODY FANTASTIC TIME. 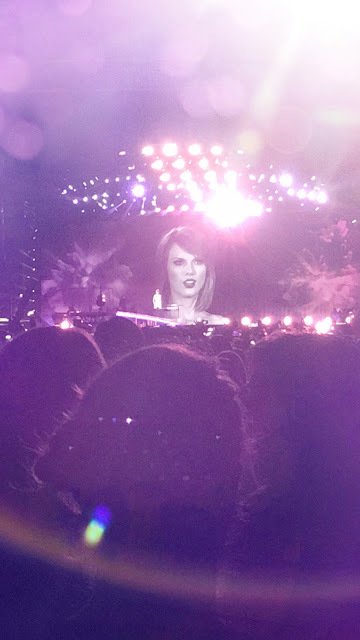 The sight of the stadium lit up with the fancy shmancy synced LED bracelets was breathtaking. I took this stunning picture and edited it a little and the result was simply stunning. It's now my phone background! These are two evenings that I will truly never forget, and were perfect celebrations for the end of my school career. I'm so grateful for these experiences, and just thinking about them makes me squeal on the inside. Though times have been quite tough with the usual stresses of life, paired with school stress and family matters, I've had an extraordinary month and my heart is so full of love. 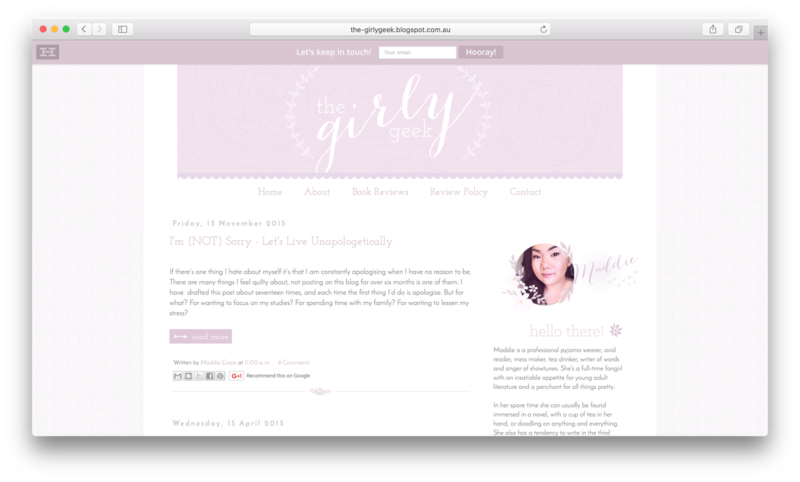 The other night it also occured to me that I wasn't quite happy with my blog's appearance, and while I've been planning posts and reviews, and other content related things, I decided that The Girly Geek needed a little makeover, which is what you're looking at right now! It was a spur-of-the-moment decision at one a.m and I ended up working straight through until 6am, oops! But I'm very happy with the final product. A fresh new look for a fresh start, eh? What do you think? Personally, I think it's much more mature than what I've ever had before. I was never really happy with how the pink appeared, but it was just what was easy at the time. I'm quite proud of myself actually, especially considering I did it in a few hours! That was my month, how was yours? I love reading everyone else's wrap ups and recounts, so I hope you find this somewhat interesting.